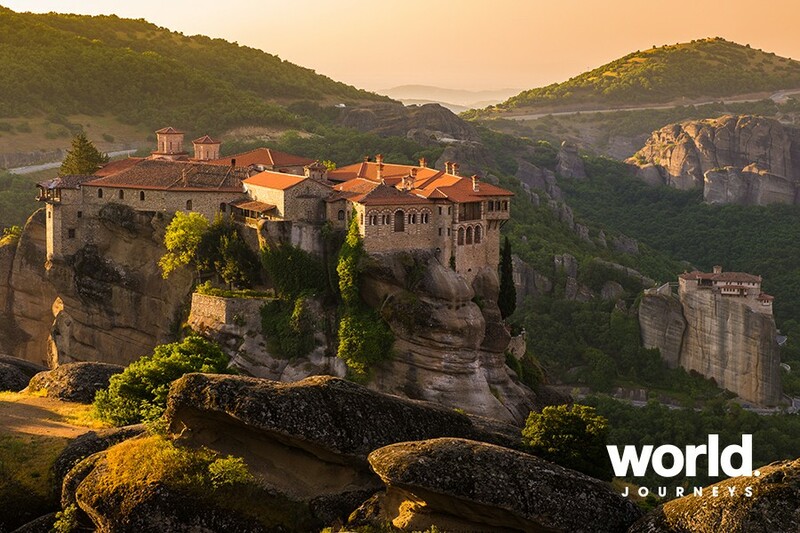 A world of ancient wonder awaits you in Greece, from temple ruins to picturesque old towns, Byzantine churches, historically significant tombs, and astonishing natural wonders. 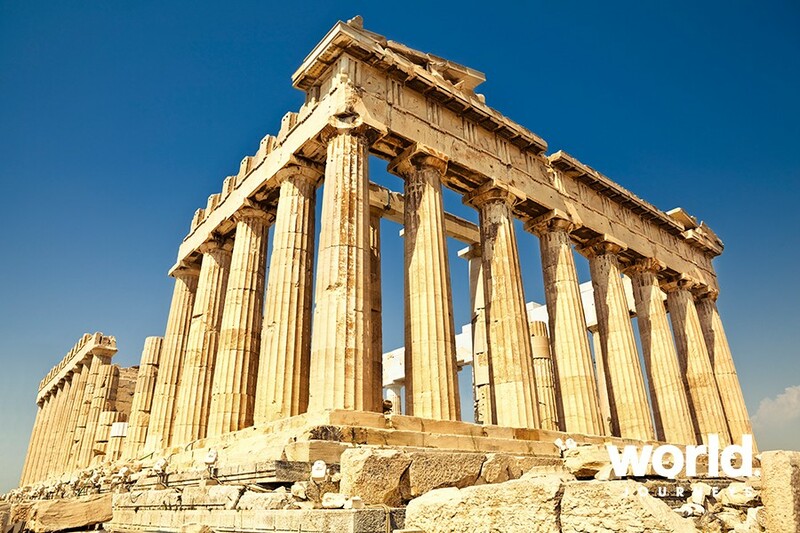 As you traverse the Greek mainland, witness countless architectural masterpieces in the cities of Athens, Olympia, Delphi, Thessaloniki, and beyond. Day 1: Athens You will be met and transferred to your hotel. 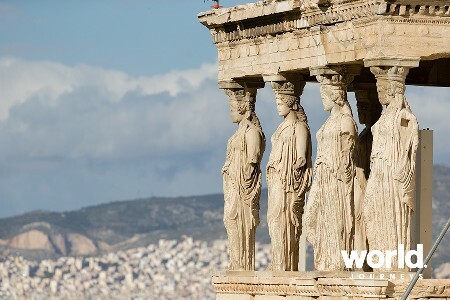 Day 2: Athens This morning enjoy a private sightseeing tour of the city, with highlights including the Panathenaic Stadium, the Temple of Olympian Zeus, Hadrian's Arch, and more. At the Acropolis, visit the architectural masterpieces of the golden age of Athens: the Propylaea, Temple of Athena Nike, the Erechtheion, and the Parthenon. Enjoy a stop at the New Acropolis Museum before heading to the Ancient Agora of Athens. Day 3: Athens > Olympia Today, meet your guide and commence the group tour. Leave Athens by the coastal road, visiting the Corinth Canal, Theatre of Epidauros, and the town of Naupilon, before continuing to Mycenae to visit the archeological site and the Tomb of Agamemnon. 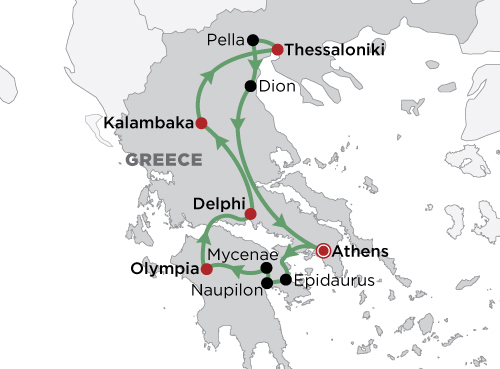 Finally, depart for Olympia, through Central Peloponnese and the towns of Tripolis and Megalopolis. Day 4: Olympia > Delphi This morning, visit the archaeological site to see the Sanctuary of Olympian Zeus, the ancient stadium, and museum. Next, drive through the plains of Ilia and Achaia, across the Corinthian Bay, passing the towns of Naupactus and Itea, arriving in Delphi. Day 5: Delphi > Kalambaka This morning, explore Delphi, the centre of the ancient world. 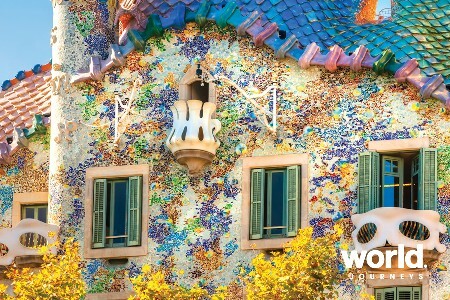 See monuments such as the Sanctuary of Athena and the Temple of Apollo. 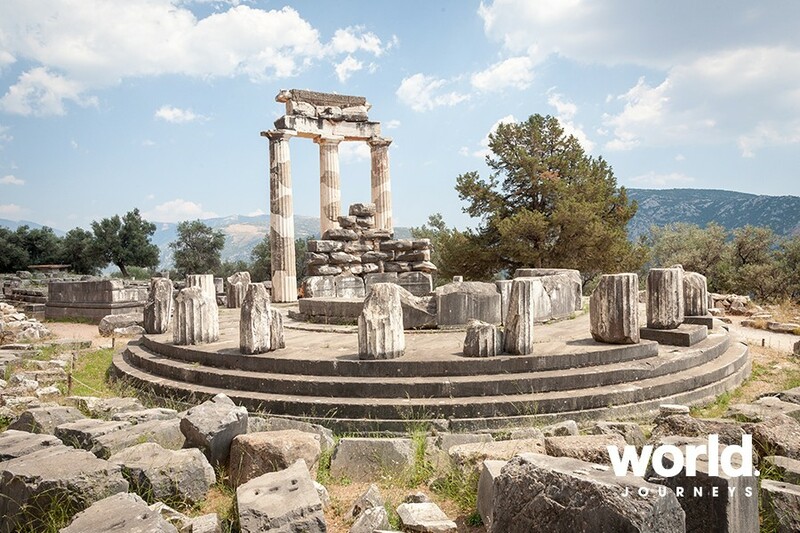 Visit Delphi Archeological Museum to see countless artifacts "“ many dating back to the 15th century BC. 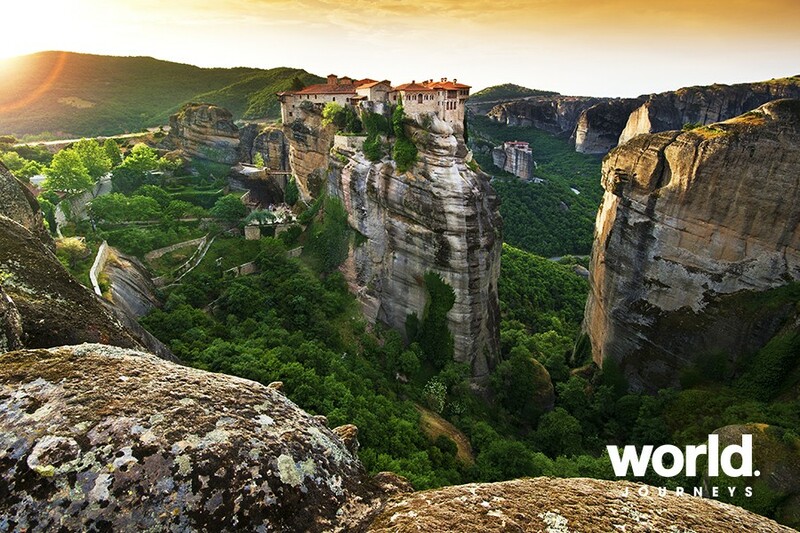 Next, depart for Kalambaka, a small town situated at the foot of the astonishing complex of Meteora. Day 6: Kalambaka > Thessaloniki Explore the incredible rock towers of Meteora before departing for Thessaloniki, passing Mt. Olympus on the way. Day 7: Thessaloniki Morning tour of Thessaloniki, visiting unique monuments, Byzantine churches, and the Museum of Byzantine Culture. Day 8: Historical Macedonia Depart for picturesque Edessa, with its famous waterfalls. 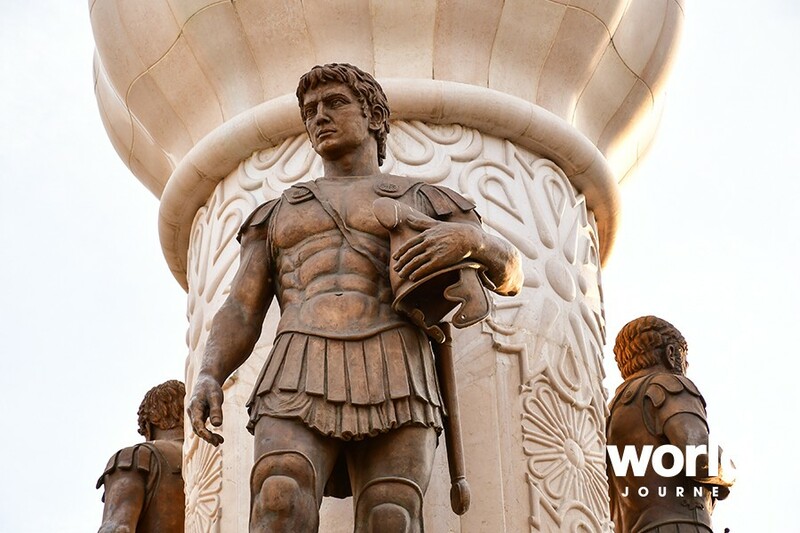 Next, head to Naoussa to visit Aristotle's School, where the great philosopher taught Alexander the Great and the Macedonian youth. 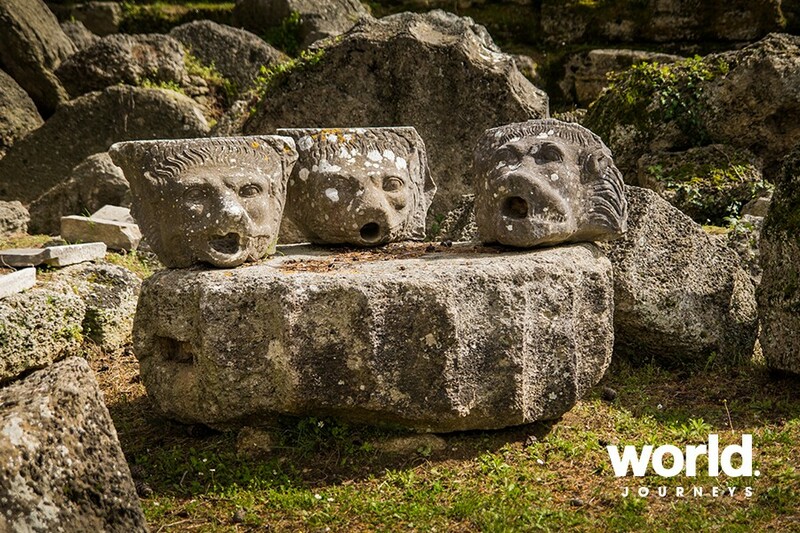 Visit the Museum of the Royal Tombs of Aigai before heading to Veria to visit St. Paul's Bema, followed by a stroll through the old Jewish neighbourhood and colourful markets. 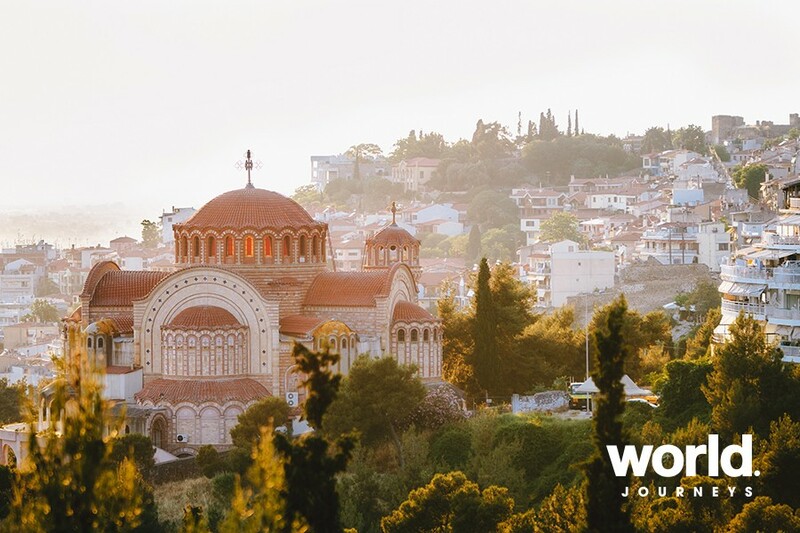 Day 9: Thessaloniki > Athens Today drive to Pella, the capital of Alexander the Great, and see the exquisite floor mosaics of the 4th century BC villas. 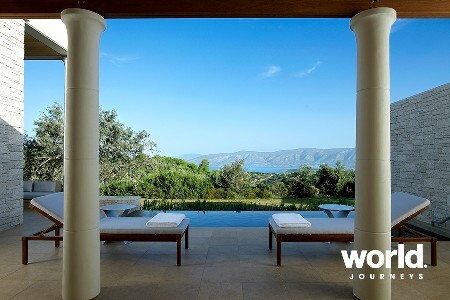 Next, visit the archaeological park of Dion at the foot of Mt. Olympus. Finally, drive south through Thessaly, Lamia, Thermopylae and Thebes to reach Athens. Evening at leisure. Day 10: Athens You will be transferred to the airport. Enquire for single pricing and/or a 5 Star option.